A great deal of information has been gained during the past 20 years about the deep ocean. 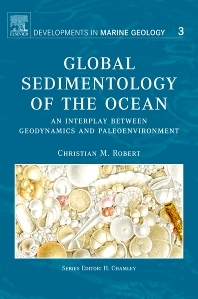 This book synthesizes new information in marine sedimentology, applying concepts to case studies, and integrating the information in a context of plate tectonics, global circulation, and sedimentary processes. The potential of sediment series as archives of past environments is highlighted. complete update of synthetic information in marine sedimentology. association of information on the origin and transport of sediment particles, the evolution of sediment series and their role as archives of past environments. ancien chef de clinique à la faculté de médecine de Tours, chirurgien orthopédiste au CH de Tarbes.